***NEW VIDEO JUST ADDED***NU LOOK/T-VICE FORT LAUDERDALE PARTY PICTURES + VIDEOS FROM LAST NIGHT! *NEW VIDEO JUST ADDED***NU LOOK/T-VICE FORT LAUDERDALE PARTY PICTURES + VIDEOS FROM LAST NIGHT! 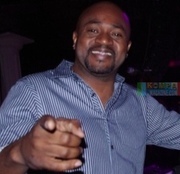 *ARLY LARIVIERE FORT LAUDERDALE TAKEOVER WITH NU LOOK (SEE VIDEO)! *NU LOOK/T-VICE FORT LAUDERDALE BAL PICTURES! *NU LOOK "PRAN NAN MERA" FORT LAUDERDALE VIDEO FINALE FROM LAST NIGHT'S BAL......WATCH NOW! *T-VICE TRIPLE PACK VIDEO FOOTAGE FROM FORT LAUDERDALE BAL FROM LAST NIGHT (WATCH)!